The root causes of this problem, primarily our overburdened health-care system and family support networks that are fraying under the strains of busy urban lives, will only intensify as the country’s population continues to age in the years ahead. 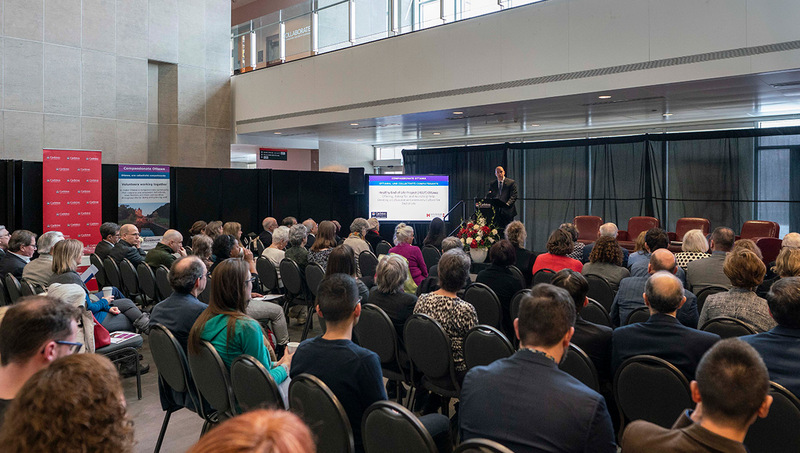 A Carleton social work professor is teaming up with a local community-led volunteer initiative to launch the Healthy End of Life Project (HELP), a combined public health intervention and research project that will pilot a groundbreaking practical approach to helping people receive end-of-life care in their homes or in the community. “The biggest change that HELP represents is a move away from a medically-driven understanding of palliative and end-of-life care,” says Prof. Pam Grassau, the project’s principal investigator, who is collaborating with Compassionate Ottawa and receiving $641,000 over three years from the Mach-Gaensslen Foundation. 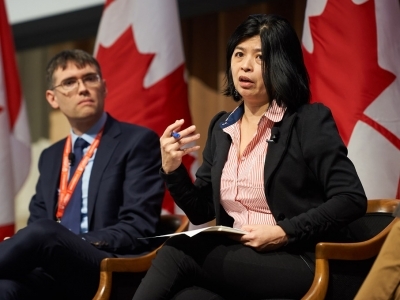 The implementation of the Healthy End of Life Project in Ottawa, its first foothold in Canada, is modelled after a successful program developed at Melbourne’s La Trobe University, which is now being implemented in Australia, New Zealand and parts of Europe. Ottawa’s pilot project will involve two community health centres (the Centretown Community Health Centre and South-East Ottawa Community Health Centre) and two faith-based organizations (to be determined). Within each site, the research team will work collaboratively with key stakeholders (staff and health-care providers, community program leaders, volunteers, clients and family members) to ensure that programs are locally developed and designed for and by the community. Their responses could involve caregiver training, increasing social support, designing neighbourhood-based networks or hubs, and developing and enhancing awareness. For example, it could mean empowering a neighbour to look in on a senior who lives alone next door and exploring what they might need, and helping them with routine chores such as shopping or shovelling snow. In year one, identifying gaps and current and potential assets in end-of-life support, as well as training community development facilitators will be among the priorities. In year two, community stakeholders and organizations will be engaged to address gaps in resources or structural barriers, while schools, workplaces, health-care organizations and other community organizations will be encouraged to adopt more supportive policies, programs and services. These shifts could lead to more efficient meal delivery programs, for instance, or neighbourhood workshops on how to help frail people move from bed to a chair. 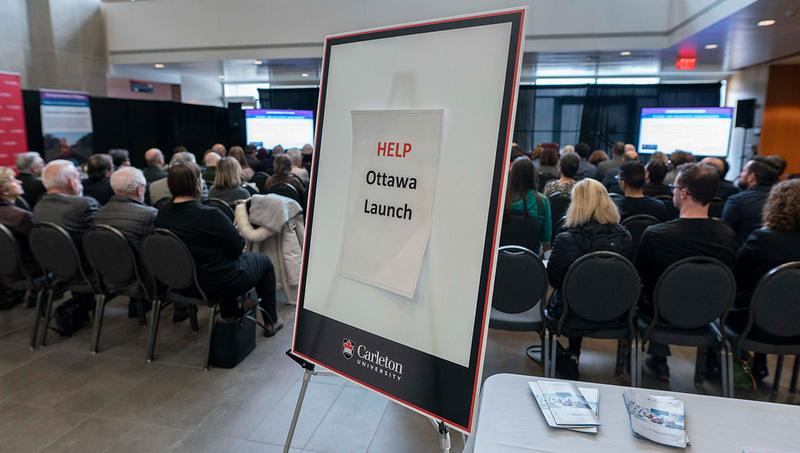 HELP Ottawa will also entail an attempt to break through the taboo around dying — by holding death cafés, for instance, where it is front and centre as the topic of discussion — so we can start to become more open about something that will happen to all of us eventually. “One of the critical gaps we have is how we address and support people who are grieving as illnesses progress and unexpected events happen, and when the people we love die,” says Grassau. “We’re much more individualistic as a society than we used to be, and despite the fact that many people are offered help when they are ill, for a lot of us, myself included, it can be quite challenging to accept help,” says Grassau, who joined Carleton’s School of Social Work in 2017 after working at the Bruyère Research Institute to pursue a research focus on patient and family caregiver experiences of advanced illness, end of life and bereavement. “HELP is a holistic project and a neighbourhood-focused intervention rooted in a drive to rekindle the sense of community that we used to have,” she says. “What seniors and people who are frail often need most are meaningful connections, where neighbours stop by for a visit and where mail carriers, local business owners, pharmacists, bus drivers and dog walkers all see that they are part of a vital network for someone who is living with chronic or advanced illness. These relationships are not about provider-patient dynamics, but about connections and relationships. 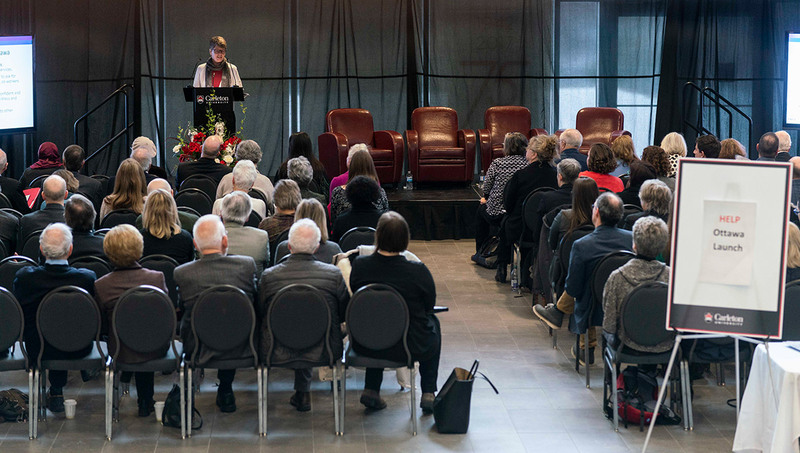 The birth of Compassionate Ottawa, which is co-chaired by former Ottawa mayor Jackie Holzman and former Conference Board of Canada CEO Jim Nininger, was the first step in a series of developments that brought the Healthy End of Life Project to the city. 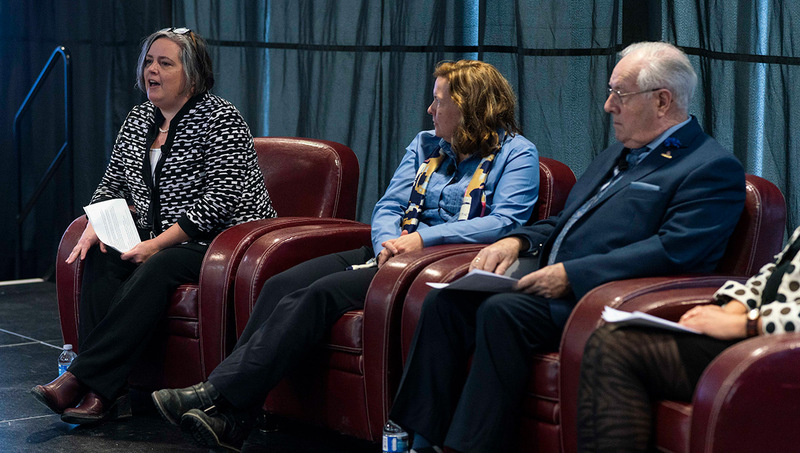 Nininger, who is also a past chair of the Ottawa Community Foundation and has served on the Ottawa Hospital board, went to a palliative care workshop in 2016 to learn more about the situation and was saddened by what he heard. He and Holzman convened a meeting in November 2016 that was attended by almost four dozen representatives from local community and palliative care provider organizations. 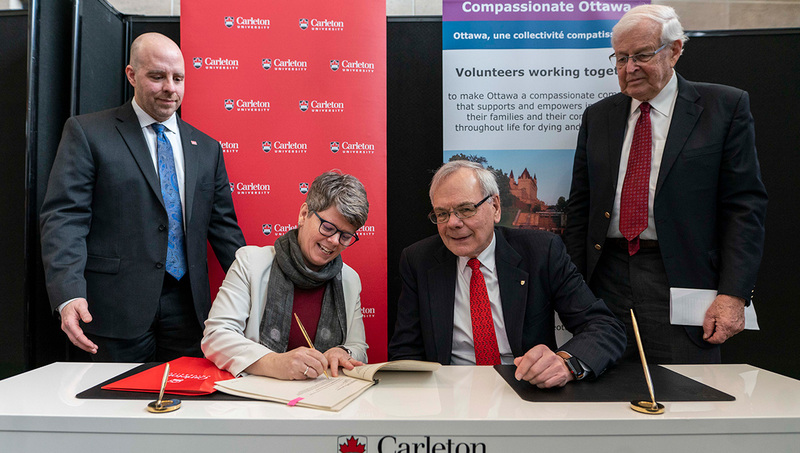 They discussed the idea of Ottawa becoming a compassionate community for palliative care — a grassroots community-based social model of care for those facing life threatening illnesses — and, with support from the Ottawa Community Foundation and the OutCare Foundation, Compassionate Ottawa was established. “When the time comes, most of us want a ‘good’ death at home with family and friends, but usually that doesn’t happen,” Nininger says about the issue that has consumed much of his free time over the past couple years. “There’s also a big economic case for helping people stay at home or at least in the community, with help and support services provided by friends, family and, when it’s required, health-care professionals. Mary Lou Kelley, a Compassionate Ottawa volunteer and retired Lakehead University social work and gerontology professor, was aware of the HELP project in Australia. 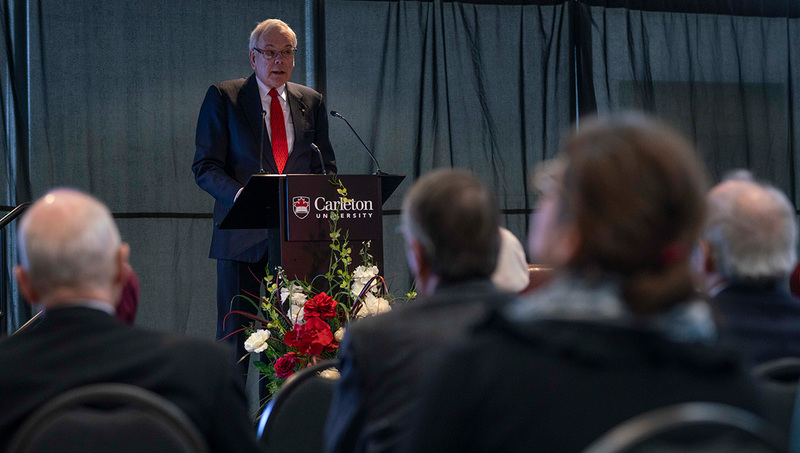 When Mach-Gaensslen Foundation Chair Chris Carruthers — a member of and past chair of Carleton’s Board of Governors — suggested that the foundation could consider funding a Compassionate Ottawa project, Kelley helped Compassionate Ottawa’s team of volunteers to prepare a proposal. “This a unique and very necessary initiative,” says Carruthers, noting that the foundation has been focusing on mental health over the past few years, and that there’s a significant mental health component to palliative care. “There’s a huge gap that we’re hoping to address through the HELP project. A pair of Compassionate Ottawa volunteers recently gave a presentation about the organization at a condo in the Ottawa neighbourhood of Vanier. Afterward, the condo association decided to create a “compassionate condo” system with monitors on every floor to help watch out for and care for their neighbours. 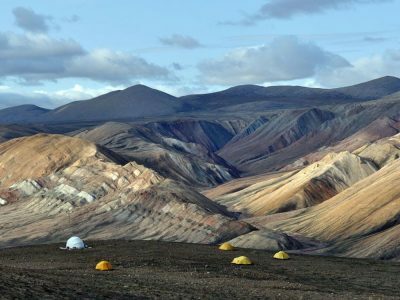 “This is the kind of thing we need much more of,” says Nininger. “Though HELP, we’ll be able to help the community move ahead faster and demonstrate the value of community efforts to improve quality of life, which by and large is not supported by governments which fund health- care providers. We have been fortunate to have received support from the Ottawa Community Foundation and an anonymous donor, which has allowed us to engage some part-time help to support the amazing job that our group of some 35 volunteers are doing. Although the Healthy End of Life Project follows the structure of a research project, it’s not a traditional research project, says Grassau. 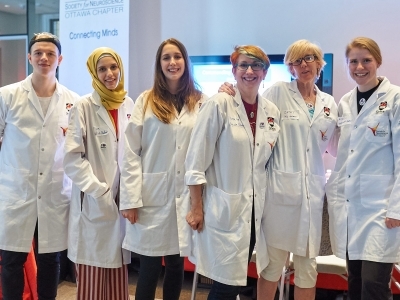 It’s community-based research, and another strong example of Carleton faculty and students being actively engaging with the community in which they live, work and study. “There will be a number of different ways that students will be involved in our project,” says Grassau. 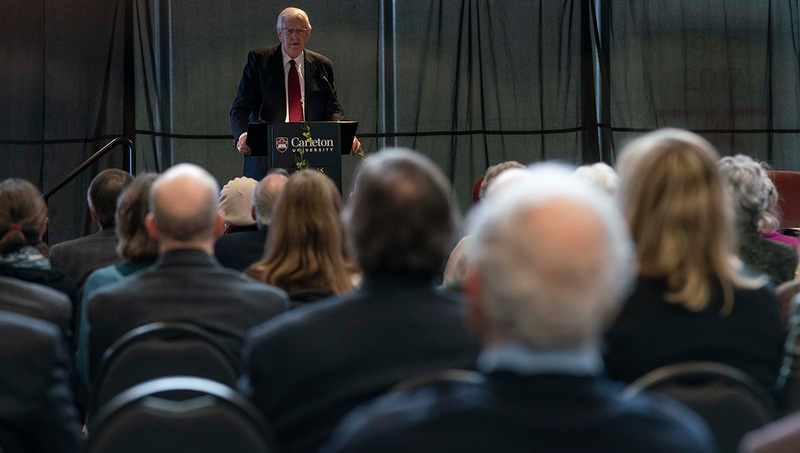 “Our hope is that some of the research positions, whether it’s the project manager and/or the staff that will be hired at each site, may be current Carleton students or Carleton alumni. Because HELP is guided by an, inter-professional, cross-institutional team — Arne Stinchcombe from St. Paul’s University, and David Wright and Roanne Thomas from the University of Ottawa — Grassau is also anticipating that graduate students from a variety of disciplines at the three schools may be interested in working on the project, and/or within one of our four specific sites to pursue their own thesis or dissertation topics. 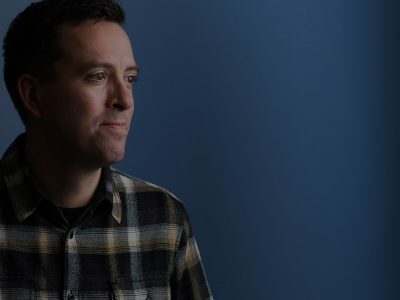 “Faculty members search for opportunities to do research that benefits the community,” says André Plourde, dean of Carleton’s Faculty of Public Affairs, which is home to the university’s School of Social Work. Ultimately, Grassau sees the Healthy End of Life Project as part of an evolution toward seeing conditions such as obesity and other contemporary challenges as issues that require a holistic social and lifestyle response, not only a medical intervention.